Drew Bennett is the Chief Administrative Officer for Ingerman. In this role he is responsible for providing strategic leadership and overseeing companywide support functions. This includes making key contributions to the company’s strategic planning process, focusing intra-departmental effort to achieve stated performance objectives, and organizing and coordinating corporate resources to deliver superior service to internal and external stakeholders. Drew directly oversees: Office Management, Human Resources, Information Technology, Leasing and Marketing, Compliance, and Supportive Services. Drew joined Ingerman in June, 2017 as Vice President of Human Resources with a vision of transforming the HR department into a center of excellence and achieved that outcome. Under his leadership the department successfully implemented numerous value-add initiatives including: the deployment of automated recruiting, onboarding and performance management modules, the introduction of succession planning and high-potential development, the development and depiction of employee career paths, the establishment of key performance indicators and reporting, and the launch of a companywide wellness program. Prior to joining Ingerman, Mr. Bennett served as Senior Vice President, Human Resources for Resource Residential, a Philadelphia-based property management firm that managed 75 communities and 22,000 units throughout the country. During his 5-year tenure at Resource Residential, he served on the executive committee and oversaw a team of talent acquisition, human resource and learning and organizational development professionals. In addition, Mr. Bennett championed companywide culture shaping and employee engagement efforts, resulting in Resource Residential being named a Top Workplace within the midsize company category annually. Further, while he was there, the company was a 2-time recipient of the Association for Talent Development (ATD) BEST Award for demonstrating enterprise-wide success as a result of employee talent development. Before joining Resource Residential, Mr. Bennett spent 10 years at David’s Bridal, the nation’s largest bridal store chain, operating 300 salons in 45 states. During his time there, he served in various senior level human resources roles including: vice president of learning and development, vice president of organizational development, and vice president of human resources. Throughout his time there, Mr. Bennett was instrumental in enabling company growth, culture shaping and succession planning. 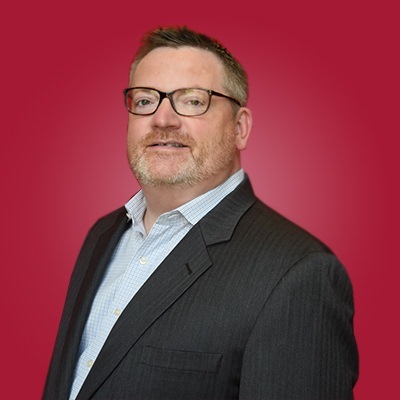 Mr. Bennett is a seasoned executive with over 20 years of experience as a human resource practitioner and strategist for top-performing companies. He is a former certified Senior Professional in Human Resources (SPHR) and a Society of Human Resources Senior Certified Professional (SHMR-SCP).